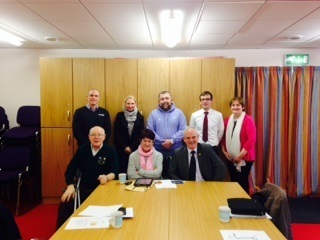 Mid Ulster Disability Forum was set up in response to an identified lack of cohesive services in the wider Cookstown area for People with Disabilities and their carers. The organisation has evolved and now covers the entire Mid Ulster District Council Area. The Forum meet on monthly basis to further promote the inclusion of Disabled people in the area. In Access MidUlster we are coming together to do something to address the growing frustrations of people with disabilities and their carers who face difficulties on a daily basis when they visit their local town centre. All Businesses who have participated in this guide have expressed a willingness to offer additional assistance to disabled customers if required. Whilst not all businesses may be represented or listed, at this stage new businesses are welcome to come on board at any time. This guide is the 1st step towards encouraging all businesses to maximise accessibility for everybody including people with disabilities. It has allowed us to raise awareness with businesses and promote accessibility. We hope our continued engagement and your support will lead to further improvements for all. Businesses participated voluntarily and completed the access questionnaire to help inform YOU as potential customers what they can offer. Where you feel access doesn’t meet your requirement we encourage you to contact the business directly or drop us an email and we will pass this information directly to the business concerned. We would also encourage you to feedback positive experiences as this lets everyone know what is working well.